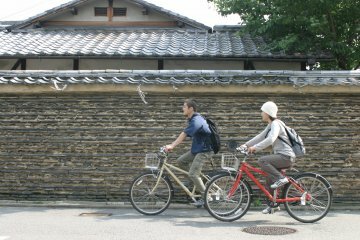 How about peaceful strolling in Kyoto? 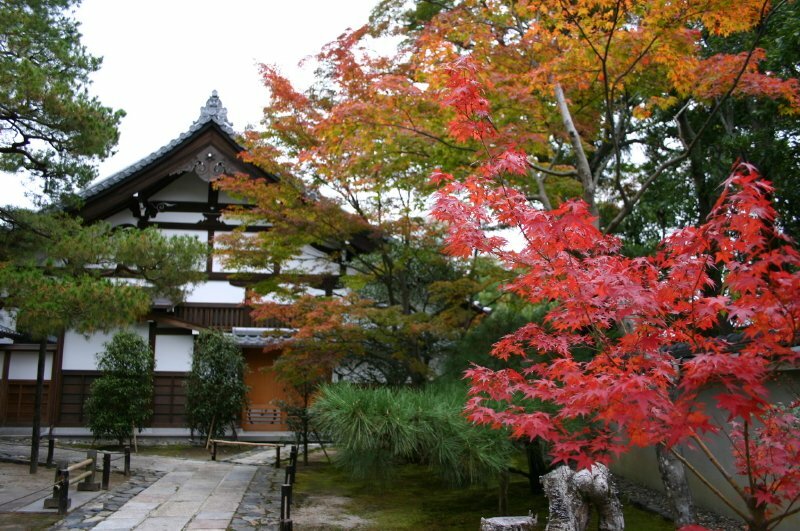 Sagano, or Arashi-yama is the name of the district which is located in western Kyoto. 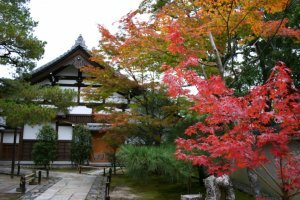 There are many temples, shrines and natural beauty such as the gentle sound of the flowing river or the mountains filled with forests that change colors with the each season. 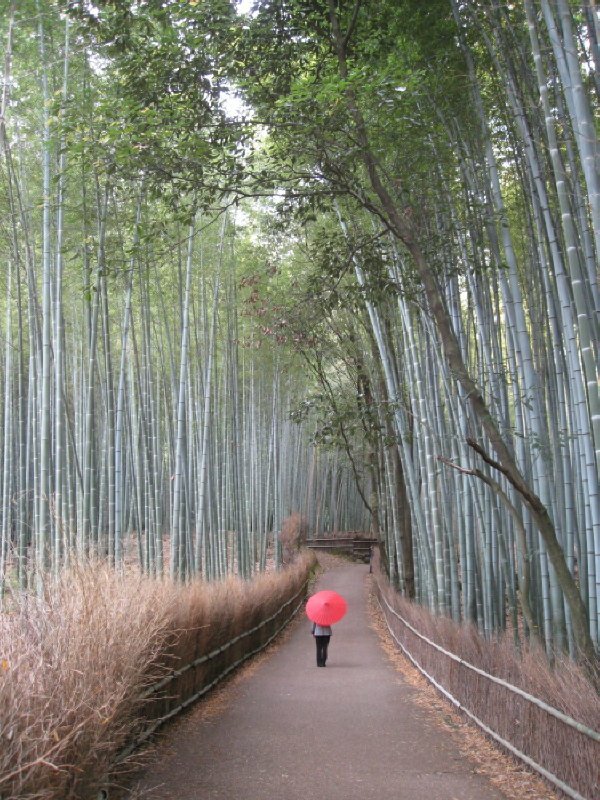 You can enjoy strolling in the relaxed atmosphere through the year, except summer time. I would like to highlight my four favorite attractions today, but you don’t have to stick to this, as there is a joy in simply strolling around and taking in whatever you facncy. 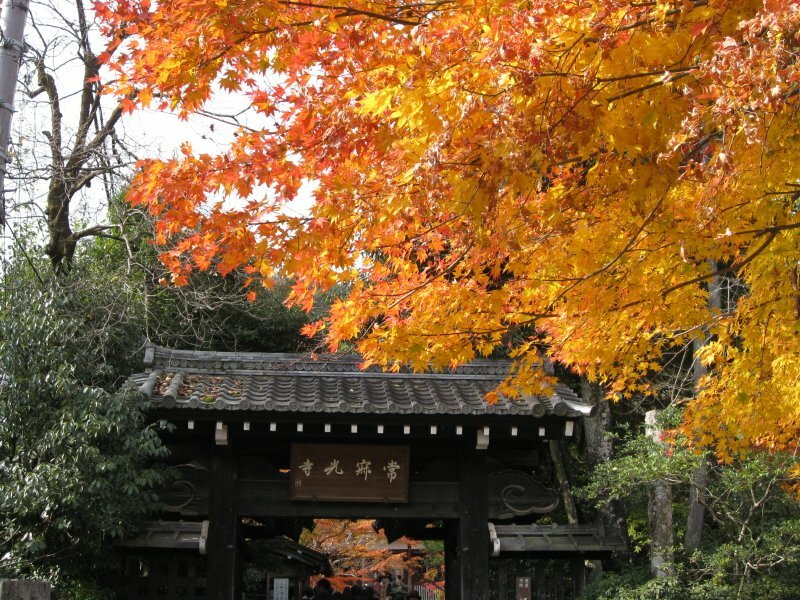 My four highlights are the Togetsu-kyo bridge, Tenryu-ji temple, bamboo forest and Jojakko-ji temple. The landmark of this place is the bridge called Togetsu-kyo. 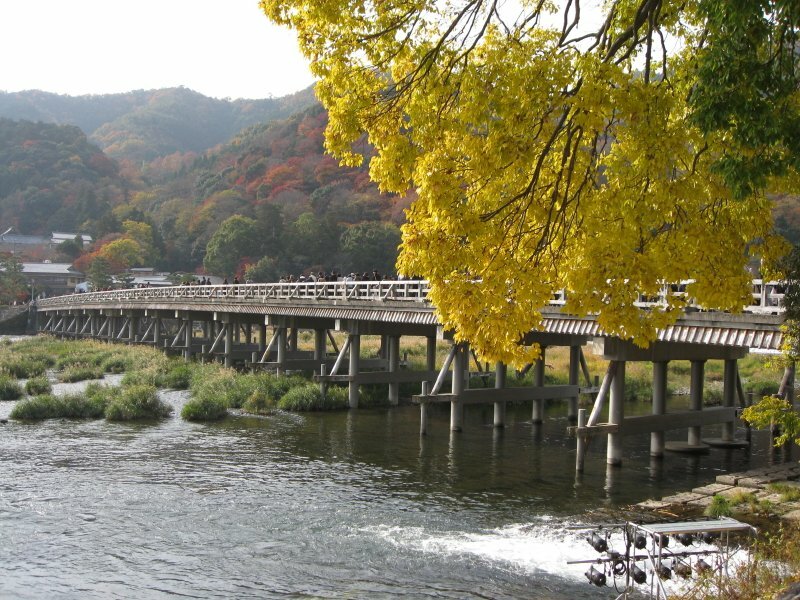 This bridge was constructed more than 1000 years ago in the Heian Period. The name Togetsu-kyo sounds so beautiful for the Japanese as the “Togetsu” kanji characters refer to the words moon and crossing. It is said that when the emperor saw “the Moon crossing the river” in the dark night, he was so impressed with the full moon’s movement above the bridge. That’s why the bridge has been called Togetsu-kyo since then. This bridge is made of concrete now, but the government decided when it was renovated, to make their hand rails and external facades by wood, so as to harmonize it with the surrounding landscape and built environment. 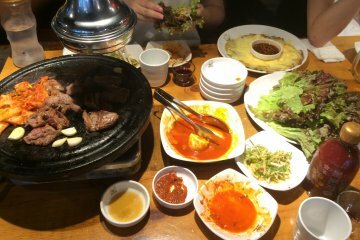 there are also many souvenir shops and restaurants where tofu cuisine is recommended. 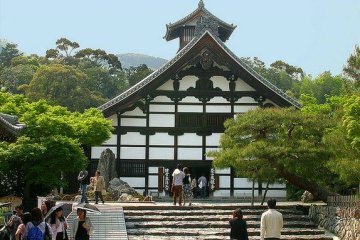 Tenryu-ji temple was constructed in 1339 and was damaged by fire eight times in its history. The current buildings were renovated in 1876. 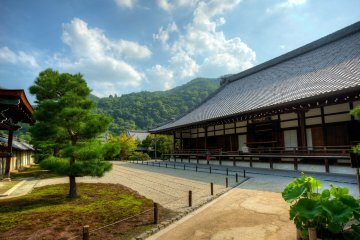 This is one of the highest-ranked Zen Buddhism temples in Japan, where you can experience Zen practice from 9:00AM to 10:00AM on the second Sunday of each month. 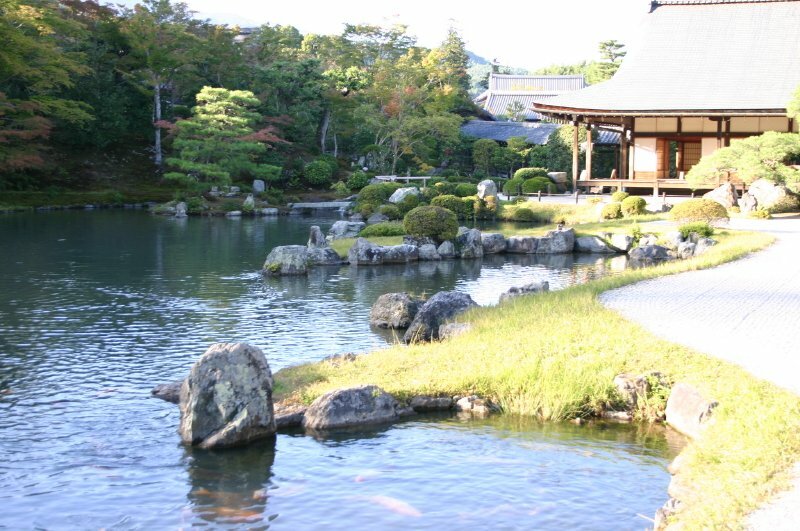 They have a typical Japanese garden next to the main building. 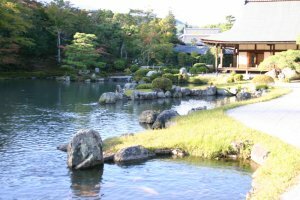 It was designed by Muso Soseki, a Zen priest, and characterized by a layout which seeks to duplicate natural scenes with important elements like hills, carp swimming in the pond, pine trees and stone lanterns. 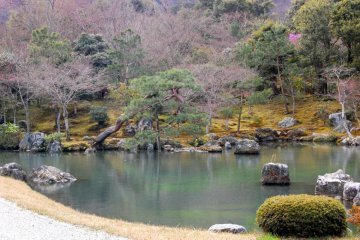 And you can enjoy the beautiful scenery with mountains just behind the garden. This is the kind of garden design technique that tries to integrate the background into its layout. 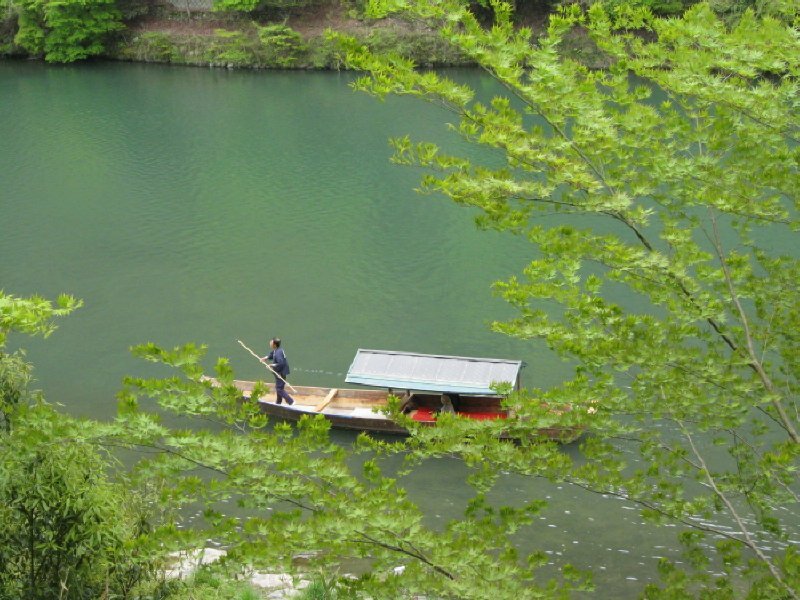 This is called shakkei in Japanese, meaning a borrowed landscape. 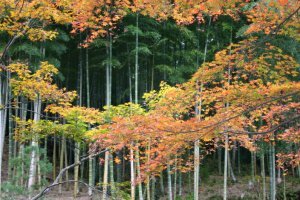 From the exit of Tenryu-ji, you can feel the smell of bamboo forest which was established by aristocrats who were living around here in the Heian period. A beautiful walkway is designed so you can just relax and breathe in the fresh country air. Bamboo handicrafts are also available. You may have heard of the king of inventors, Thomas Alva Edison. There is an interesting story that when he invented the electric bulb, he used bamboo fibers from this forest to develop his filament. This event is celebrated in the monument at the corner. 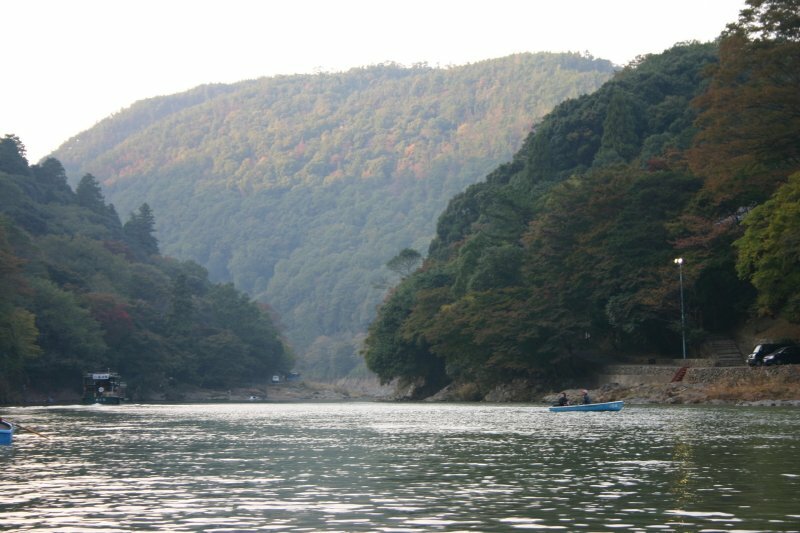 When going through the forest, you can find a very narrow street going down to the river. It’s so quiet and you can easily lose yourself in the natural beauty. 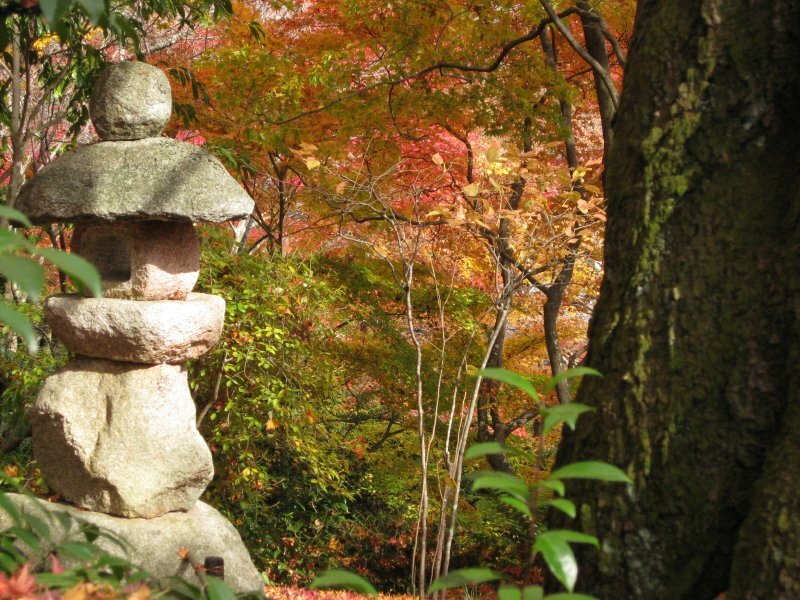 Joujakkou-ji temple is one of the most beautiful spots in Kyoto in the Fall. Just remember the name and visit there in November. 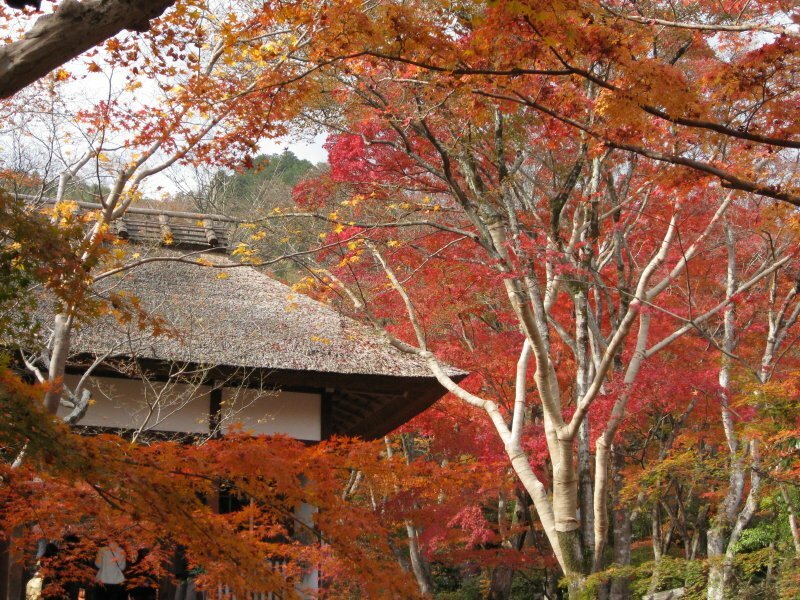 You can be transported to another world seeing gorgeous autumn leaves in various colors. There are many other beautiful spots to see around here. 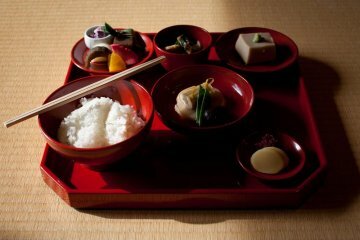 I recommend you should spend a whole one day strolling around with a bento box lunch and make your own Sagano story with your new discoveries. Born and grew up in Osaka. 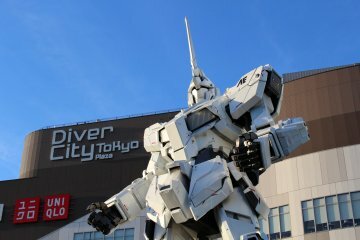 When I graduated from university, I moved to Tokyo to join an IT company. 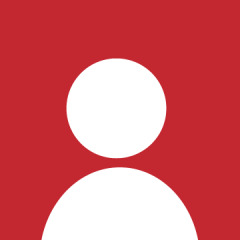 I worked for the company for almost 40 years already, and I got a mandatory retirement finally. 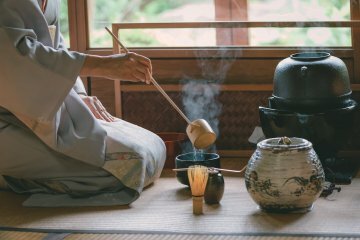 I would like to introduce Japanese beauty to many people who are interested in Japan, and to try to constitute an international communication association in Tokyo. .
Kyoto: Tea Ceremony Camellia GARDEN.. 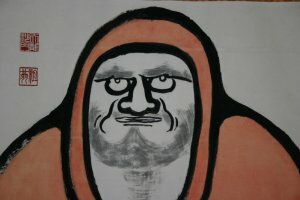 I learnt a lot from reading this article. 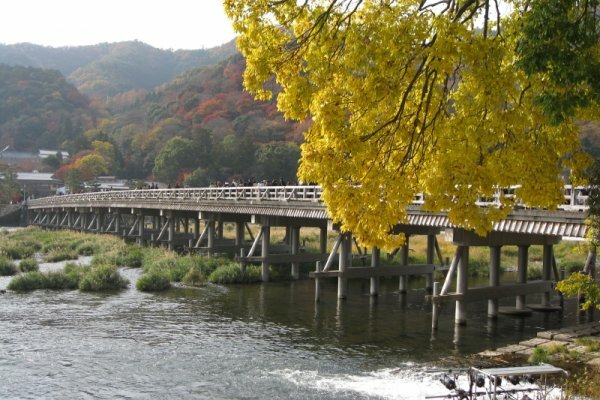 I didn't know the bridge in Arishiyama was built more than 1000 years ago, and that the name Togetsu-kyo came from the Emperor who first saw “the Moon crossing the river” in the dark night. What a great story!